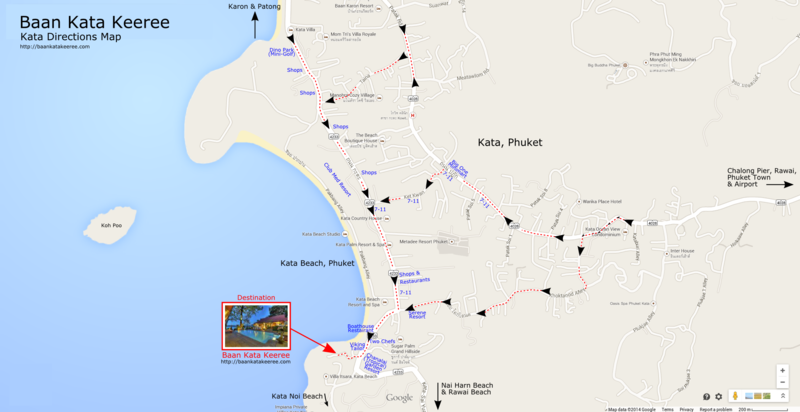 If coming from Kata Beach direction, The Boathouse will be on the right, Chanalai Garden Resort will be on the left. Our small road will be on the right. There are two small roads, one each side of the Tailors. 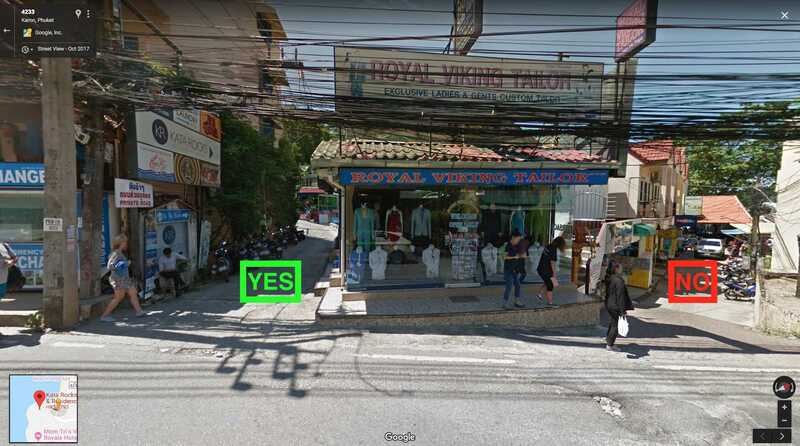 Take the second entrace/road on the right, signed for (KR) Kata Rocks (on the wall, 3 meters high up in white and blue and 'Private Road' in red at 2 meters high. Follow that road (it's tight) through the 'S-bend', up the hill about 300 meters. We are on the right. Outside Chanalai Garden Resort, turn right into the small road signed for Kata Rocks. Photo from Google Maps, 2017. Take the road on the left for Keeree. It goes up towards Kata Rocks. 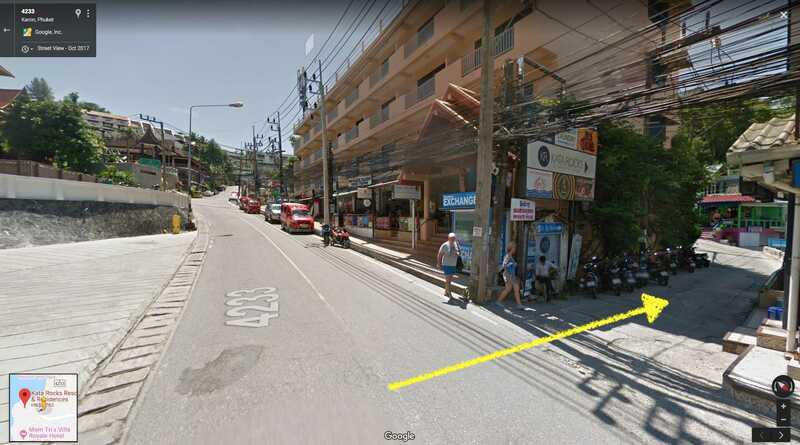 The road on the right takes you to the beach (100 meters). Reception entrance point. 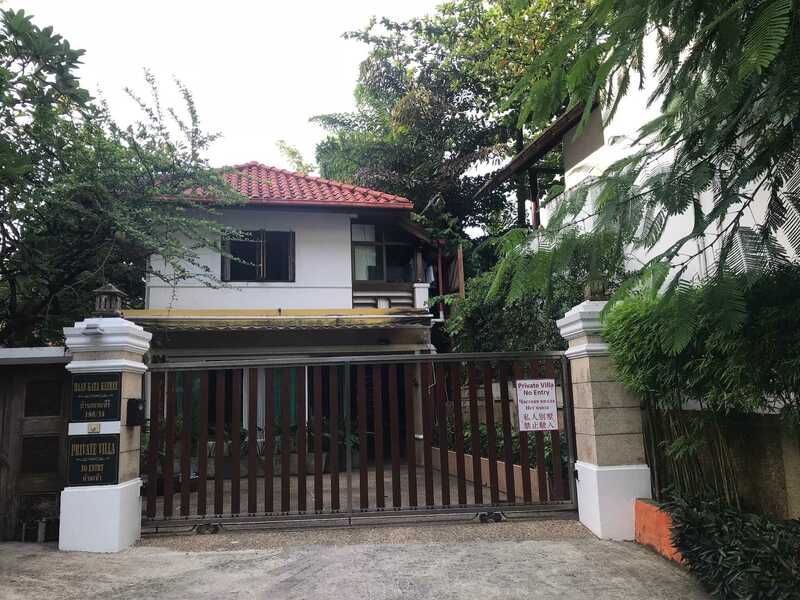 This is the rear of the villa. Our villa name is on the left wall of the parking area. Thank you for your outstanding service. Nothing was too much trouble. Your professionalism and attention to detail was amazing. I will miss this outstanding service and the smiles upon your faces. It would be a dream and a pleasure to retun in the future. Can you please pass on our compliments to the chef, as per all other services, the food was amazing. You should all be proud of your expertise.